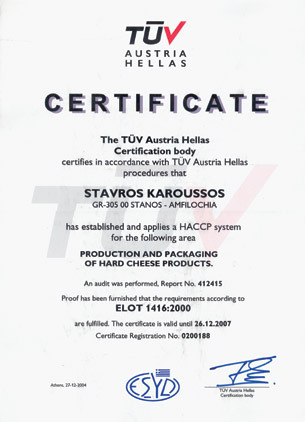 The company applies quality certificates in all phases of production and administrative operations. Certificate of HACCP (ISO 22000) - system HACCP (Hazard Analysis, Critical Control Points) is a sophisticated control system for food and for hygiene and food safety. 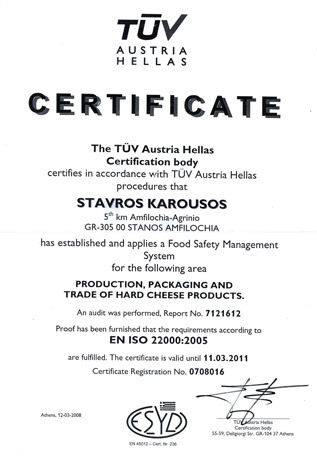 The HACCP system is mandatory in accordance with both the European and the Greek legislation, which lays down general food hygiene rules, and mandatory compliance with these rules. The HACCP system is applied in the production process of a particular food, covering all stages of production, from receipt of the raw materials to the end-use of products by consumers. 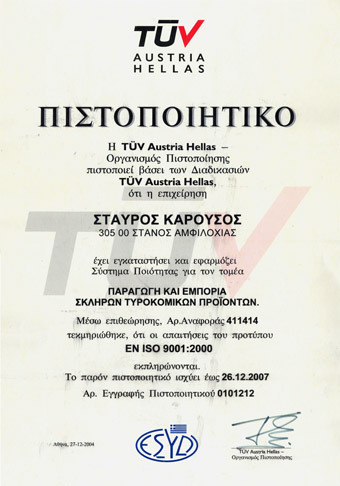 The Authority responsible for monitoring compliance with the rules of food hygiene is the Hellenic Food Authority -EFET. 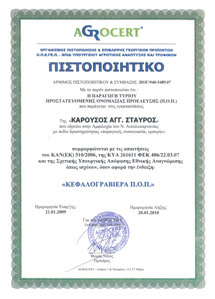 AgrocertCertificate - The Agency for Certification and Supervision of Agricultural Products, with the distinctive title AGROCERT is a private legal entity of the Ministry of Rural Development and Food that operates in the public interest under the supervision of the Minister of Rural & Development Authority (N.2637/98). 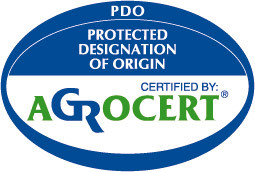 One of its responsibilities is the control and certification of the Product Designation of Origin (PDO) and Geographical Indications (PGI).